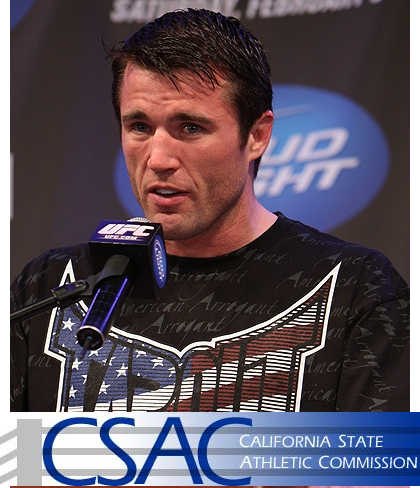 With Sonnen's testosterone level on a high, he is unlikely to get the rematch he's been wanting for unless he appealed on CSAC's notification. What's in purview for the slated Super Bowl weekend bout? According to CSAC exec George Dodd, Chael Sonnen is unlikely to get a rematch from Anderson Silva if he does not respond to the commission’s notice. Dodd also added that Sonnen is suspended and has 30 days to reply to the directive sent last Thursday, informing him that he is positive with illegal PED. CSAC also notified the UFC of the outcome made by the UCLA’s Olympic Analytical Laboratory last Saturday. Sonnen was first flagged last September 2 after an initial test revealed the presence of the banned substance. Then, a second test result confirmed that Sonnen’s testosterone level is well above normal. With the test result already leaked, this could scratch the rematch targeted for next year’s Super Bowl weekend, unless Sonnen gets an appeal and resolution before the end of the year. Otherwise, the fighter will be suspended until September 2 of next year, and will face a $2,500 fine.